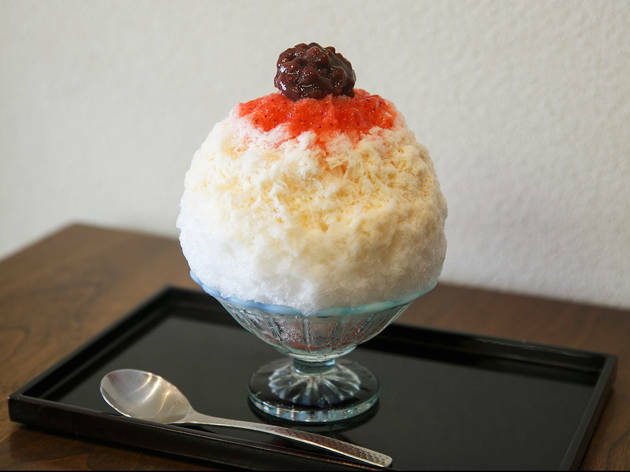 This taiyaki (fish-shaped dessert) specialty shop offers a shaved ice treat called Asayake, which depicts the sunrise atop Mt Fuji. The sweet and sour syrup is made from fresh strawberries, unsweetened milk and homemade sweet bean paste, which is cooked for eight hours for the taiyaki. These three ingredients create a wonderful balance of flavours when combined with the soft ice. 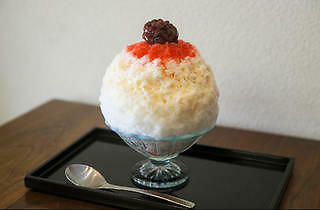 The Kinako kakigori, which combines kinako (roasted soybean flour) and brown sugar syrup, is also very popular. Round off with some freshly baked taiyaki and a pot of Japanese tea.